In 2011, CRP was approached by the San Pablo Avenue Golden Gate Improvement Association (SPAGGIA) to create a series of murals on San Pablo Ave between 60th Ave and Alcatraz. 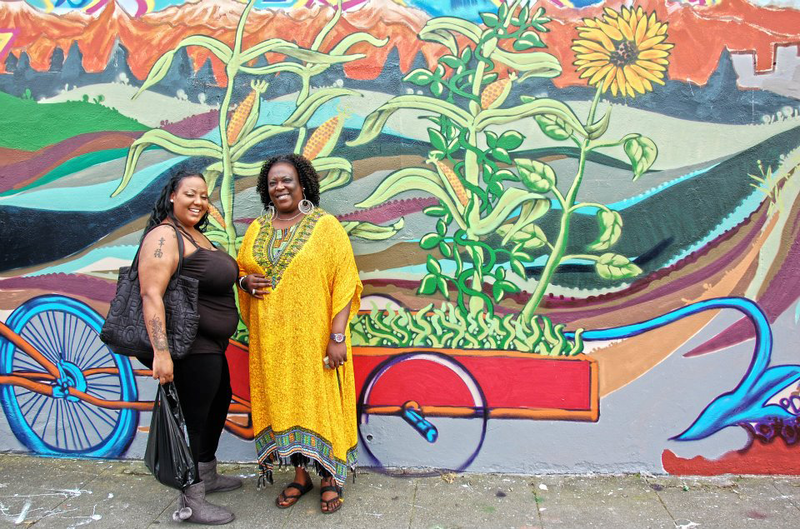 The first mural out of five has been completed on Golden Gate Liquors on 60th St. called “Pedal Power to the People.” A second project called “Sacred Seeds” was also commissioned on Stanford and 60th. SPAGGIA will be holding a series of fundraisers throughout the summer of 2012 for the next three murals.